The sleek metal base securely cradles the rectangular jade crystal rectangle. 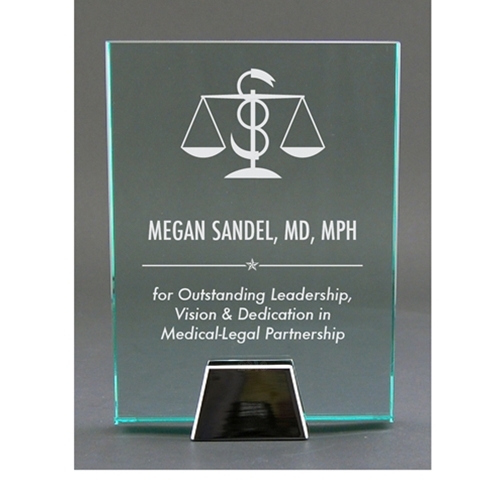 Etched with your personal message or logo. Available in 5 Sizes.